From his birth in 1920, Henry Edward Lowe was destined to leave his own mark on the world. Through hard work, determination and a little luck, little Eddie grew up to create a whole new industry with his product, Kitty Litter. 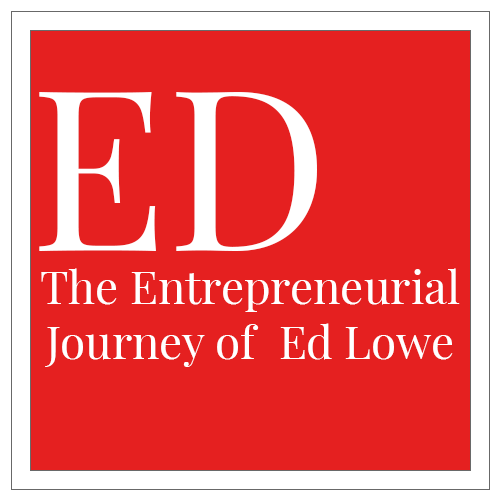 Along with countless others helping over the course of his life, this timeline is dedicated to Ed's entrepreneurial journey. We hope that it helps to inspire the next generation of inventors and tinkerers to keep going in the face of adversity. Maybe you will be the next person to invent an industry by seeing an opportunity before all others? After his Navy duty, Ed Lowe returned to Cassopolis, Michigan, and joined his father’s company, which sold industrial absorbents, including sawdust and an absorbent clay called fuller’s earth. In 1947 Ed was approached by a neighbor who was tired of using ashes in her cat’s litter box and the resulting sooty paw prints. She asked for some sand, but Ed suggested clay instead. Soon the neighbor would use nothing else, noting that the clay was much more absorbent than sand and didn’t track all over the house. Ed had a hunch that other cat owners also would love his new cat-box filler, so he filled 10 brown bags with clay, wrote the name “Kitty Litter” on them and called on the local pet store. With sand available for next to nothing, the shop owner doubted anyone would pay 65 cents for a five-pound bag of Kitty Litter. “So give it away,” Ed told him. Soon customers were asking for more — and they were willing to pay for it. Quality was always a priority with Ed, and his products set the standards for the industry. Edward Lowe Industries was the only company of its kind with complete innovation and product-development centers. 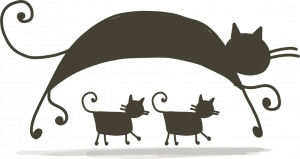 This included a “cattery” at Big Rock Valley, which was home to 120 felines who “worked” to assist in the development of new products. The cattery also boasted a fully staffed cat-care clinic, as well as an animal-behavior facility that permitted 24-hour television monitoring of resident cats. In the late 1980s, this operation relocated to Cape Girardeau, Missouri, where company scientists at a modern research and development center continually worked to upgrade existing products and develop new ones. 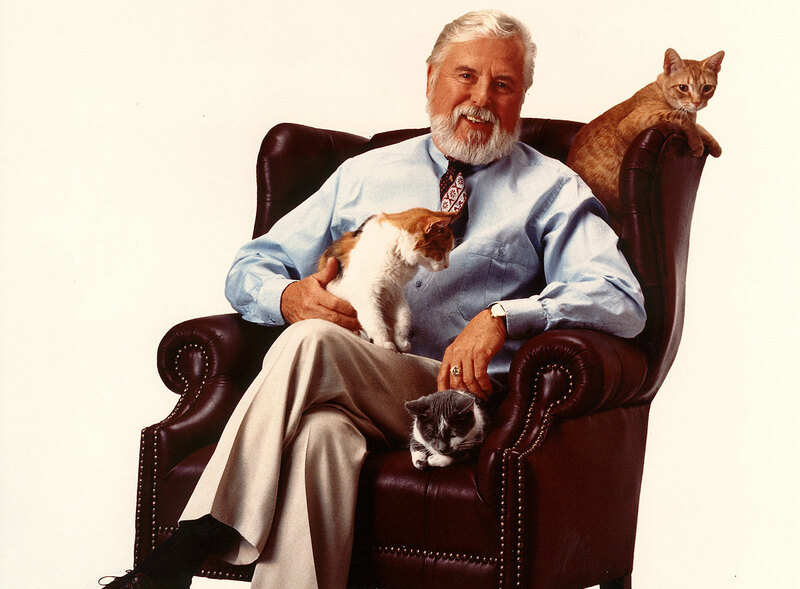 After creating a billion-dollar industry that established the cat as the nation’s most popular pet, Edward Lowe set his creative sights on another goal — fostering and nurturing the American entrepreneur. As a result, Ed committed a good part of his fortune to create “… a whole campus for entrepreneurs” at a private 2,500-acre complex outside his boyhood hometown of Cassopolis, Michigan. In 1991 he donated this estate for the headquarters of the Edward Lowe Foundation.